A big thank you to film maker Toni van Eeden, and our actors: Michael Curley, Esther Song, Dannik Leduc, Ainslie Lahey, Christine Lowe, Nicole Pontes, Diliana Toteva, Sidney, and Matt Farrier. Our wonderful actors for the music video: Michael Curley, Esther Song, Dannik Leduc, Christine Lowe, Ainslie Lahey, Matt Farrier, Nicole Pontes, Diliana Toteva and Sidney! Thanks for letting us throw food on you! All of our friends who came out to support us! We’ll miss you all in the new few years while we take a break, but rest assured we’ll continue to write and record music, and when we come back, we’ll be ready to rock again! 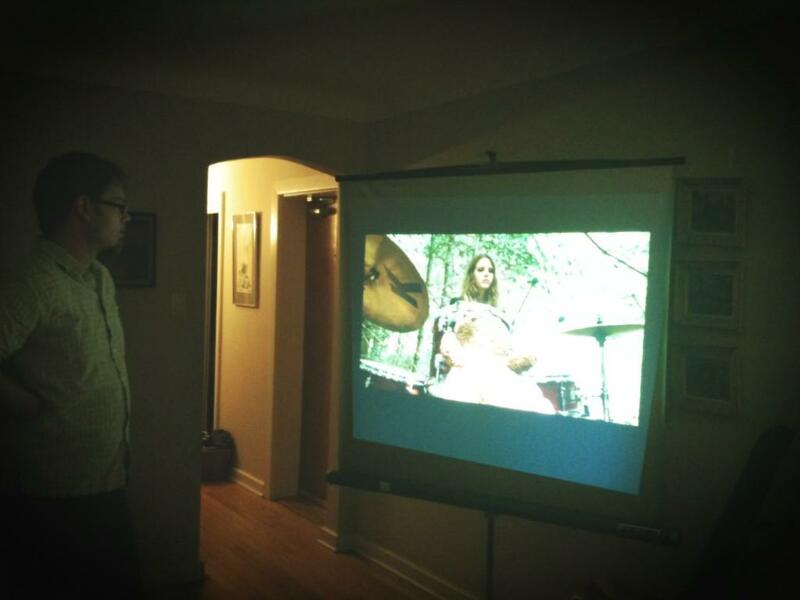 We’ve been busy preparing for our big show on Wednesday night at Babylon, which will be our music video release party for our song Beaver Pond Forest as well as our last show. If you missed us on the radio last night, you can hear our interview on the Photogmusic Live radio show here. Thanks for having us on the show, Ming! We’ll be on the radio again today on the feminist radio show The Third Wave, at 4PM on CHUO 89.1FM. Also, don’t forget to check out this sweet article on Apartment613 by the wonderful Julie Cruikshank about our band and our upcoming show. Exciting times! Remember, you can buy cheaper tickets for the show from us directly. Just give us a shout! A big thanks to Ming for playing our song Beaver Pond Forest on his CHUO radio show Photogmusic Live. We love the support we’re getting for our final show! Tonight we’ll be interviewed on Apartment613’s radio show, so tune into CHUO 89.1FM at 9PM if you want to hear us! 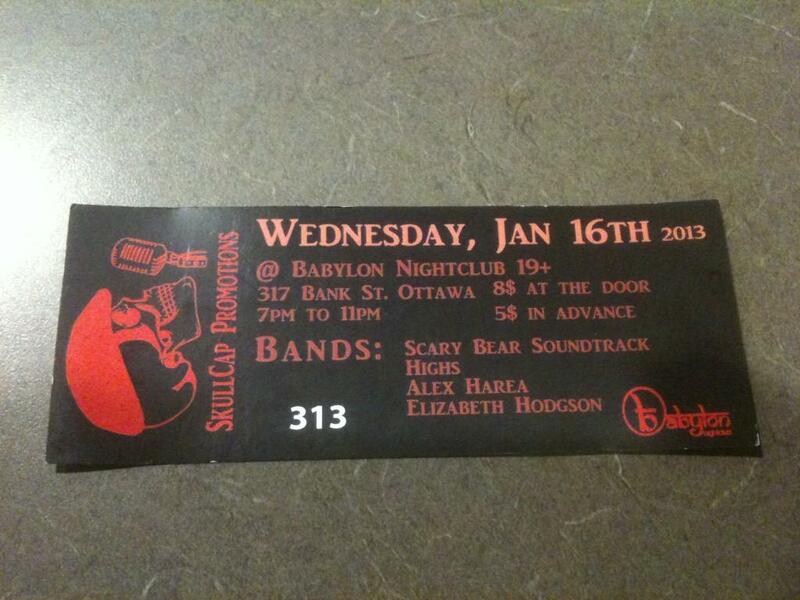 Don’t forget to pick up your tickets for our show at Babylon on Wednesday January 16! Give us a shout if you want cheap tickets in advance. We’ve been nominated for Ottawa’s hottest band and Ottawa’s hottest female musician in Photogmusic’s annual “Who’s Hot In Ottawa’s Music Scene” poll! Are you going to vote for us? Click here to vote! And don’t forget our upcoming show at Babylon Nightclub on January 16, where we’ll be releasing our music video for our song Beaver Pond Forest. You can buy cheaper tickets from us rather than at the door – just give us a shout! Are we going to see you at our show on Wednesday January 16 at Babylon? We’ll be releasing our music video for Beaver Pond Forest. This will be our last live show for a long time while Gloria moves to Nunavut for a few years. Part of the proceeds will be going to the South March Highlands Carp River Conservation and calendars featuring South March Highland pictures will be on sale as part of fundraising efforts. Hope to see you there! A crazy night at Pressed Cafe with Jenna Tenn-Yuk, involving great spoken word poetry, a broken guitar string and two busted car tires. An amazing show at Zaphod’s where the audience danced and band members got naked…Not us, though. We’re ladies. Getting Namibian schoolchildren to sing our song See Me! We can’t wait to see what 2013 brings!